I used to be a binge writer and would write only when I thought I had enough time – which was never. I thought I needed blocks of time – like complete days – or long afternoons. 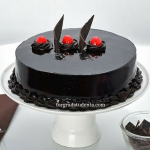 For me binge writing was like binging on sweet dark chocolate – chocolate cake or just plain dark chocolate. 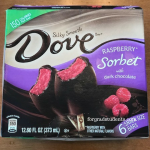 My favorite is Dove ice cream – not so much for the ice cream but for the dark rich chocolate coating. I have learned from experience that binging on dark chocolate can make me feel – well not so good. So, I’ve learned to “manage” my binging and keep the richness of the dark chocolate to small amounts. As with chocolate, I also learned several things from my binge writing days. The days when I would sit in the living room writing my thesis. 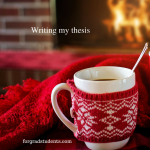 A fire was lit in the fireplace on a cold winter morning and I could see my fellow grad student friends walking to class or to the lab while I was inside with my Cup of Joe writing away. What I learned was this. I accomplished less overall by binge writing. 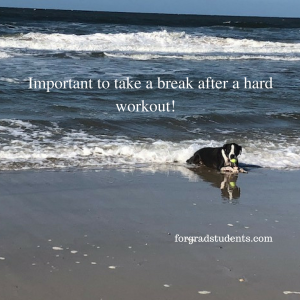 Writing the thesis/dissertation is a marathon – not a sprint – so I needed to pace myself. My binging was not sustainable. I just couldn’t do it day after day. What I discovered was I was spending more time re-reading and re-acquainting myself with my topic. It would have been better to have smaller amounts of time dedicated each day to writing. Not to mention how draining and tiring it is. I also realized that by expecting too much of myself – I could never achieve my goal. In fact, I learned that it’s best to start with a small goal. “There’s no such thing as too small a goal”. What a small goal did for me is to allow me to see my accomplishments and not get discouraged and quit. What I learned about writing is what I learned from my love of chocolate cake. Writing is more than eating the chocolate cake – it’s about tasting the frosting or having one small bite. Writing can be that way as well. Writing can be done in bits and pieces. Having attended several writing workshops, I learned there is so much more to writing. One key piece is to leave off at a spot where I can pick up – so the idea is not to finish all of it – but to get to a place where I can pick up where I left off last time. Sometimes, I would make a list or an outline of what I would write next and use that to get me started. That was a big take away for me. I use it today and share that insight with my students. The other important piece that I learned from writing workshops is that revising/editing, making an outline, checking references are all part of the writing process. So, when I only had 10 minutes, I can revise a paragraph or check the format of references. Each step gets me closer to my goal. In a short period of time, I can read my paper and examine my writing from a big picture perspective and ask, Did I make persuasive arguments? or Did I convey my ideas clearly? Other times, I can focus on word crafting. I learned this from a great teacher – What’s the best word to use here? Do I need a better adjective or fewer adjectives? Does the paper flow? Does it logically move from one paragraph to the next? Do I have my topic sentences at the beginning of the paragraphs? Finally, I learned to check for typos and punctuations by reading the paper outload and then focusing on each word to find typos. We all know how self-correcting word processing has-a-mind of its own – it may not be the word we were typing. Finally, if I write in long hand first and then type it up, I am more efficient as I am not trying to edit as I go. Writing is hard work and tiring so it’s important to take breaks.